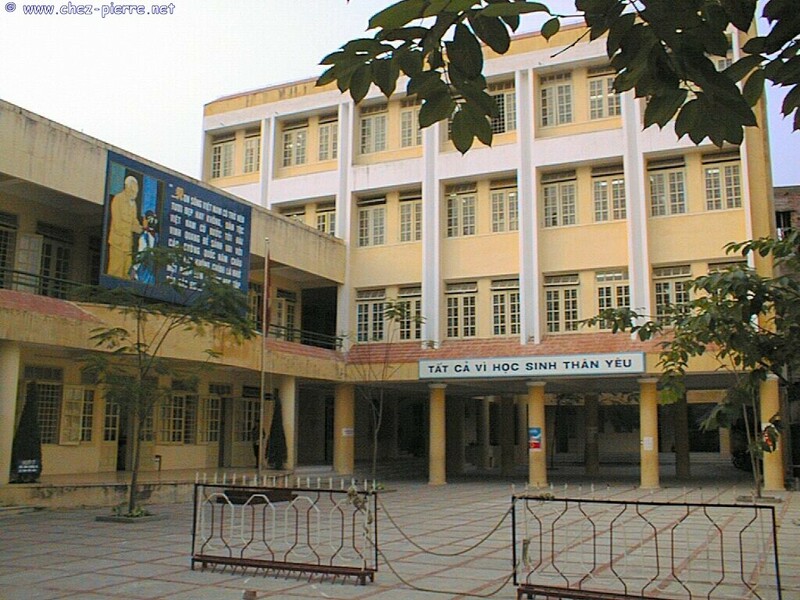 as in Can Tho, but in charge of part of the primary schools (and not all subjects at all levels in all schools) : a more "in deep" job, a far more regular follow-up than what we are used to in the provinces. We are 4 supervisors in Hanoi for the primary level, and as for me I work with 6 of the city's 12 bilingual primary schools (24 classes) and one middle school in the Ha Tay province (6 classes). 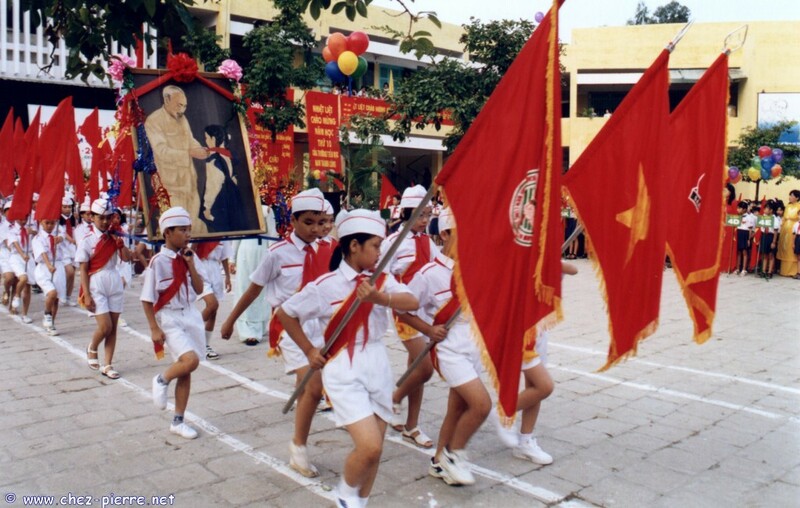 It rapidly appeared to me, without having a vision, that the level of Hanoi's classes is sensibly higher than that of Can Tho's. And the contrary would have been surprising, since the teachers of the capital have always had much more help than those of the provinces ! The tremendous amount of work done for years by supervisors can be felt here, as well as the fact that the students have more contacts with foreigners, speaking other languages. Let's also mention other important facilities, like Documentation and Resource Centers, the French Alliance, numerous bookshops, etc. 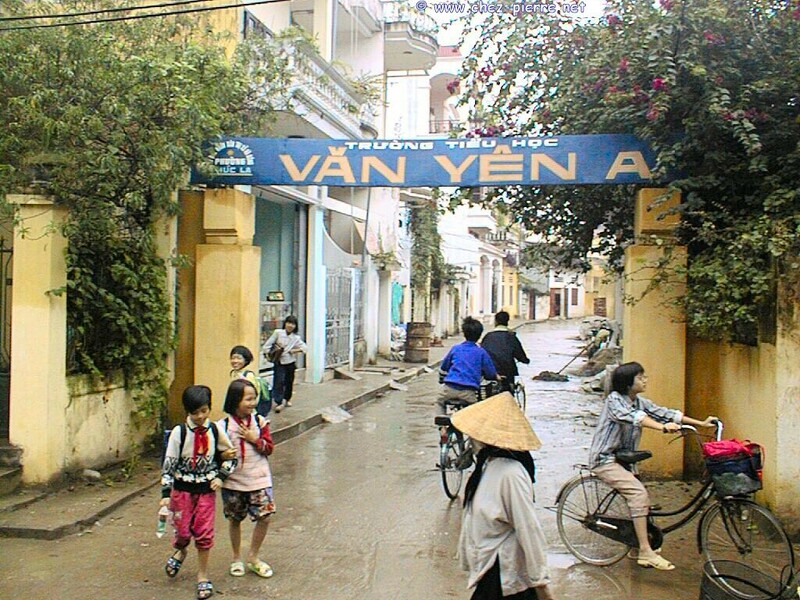 in Hanoi, but far from being useless. The intensive follow-up shows results, and the continuous formation (by summer workshops and weekly pedagogical meetings) brings knowledge, know-how but also a permanent support to the teachers. 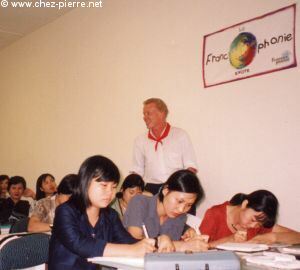 This year particularly, since there was no workshop centered on the "Une Petite Grenouille" method that we thought acquired, I noted that the new teachers were experiencing enormous difficulties in their classes. 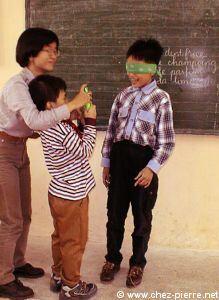 I then proposed a complementary quick training in three parts : more intensive help to these teachers by their supervisors, observation with them of experienced teachers in their classes, weekly half-days workshops in small group with me (two months). With the support of our team, this help was quickly put in place and showed results on the first days. We care about our teachers and our program ! 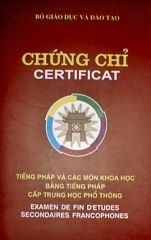 of the program on Thursday, November 18th 1999 : after years of work, a certificate (diploma, actually) ends the bilingual cursus in Vietnam. 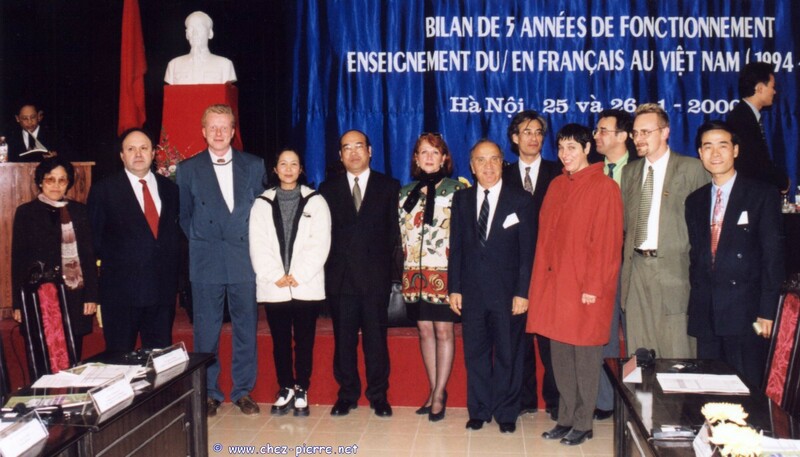 As Mr. Michel Guillou, Rector of the Association of French-speaking Universities said, it is not only a graduate diploma for Vietnam : it's a passport to all French-speaking universities around the world. As a matter of fact, out of the 43 students who got last year out of 12th grade (first graduation), all passed in Vietnamese, 36 also graduated in French, 15 of them got scholarships and are in French universities, and the others in Vietnamese universities. 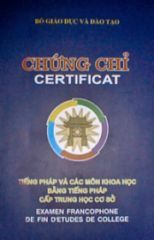 It is thus a major outcome for the program, started in 1992 by Hervé Fayet with 6 classes in Ho Chi Minh City, and totalizing now almost 700 classes... They now are 648 Vietnamese French-speaking teachers with more than 20 000 students across the country ! Of course we celebrated this success with Mr. Guillou, about to leave the AUF, and Mr. Le Vu Hung, vice-Minister of the Education and the Formation. With the principal actors of the program : the teachers who invest themselves in, sometimes disrupting their teaching methods to make their lessons more living ; and with the Vietnamese students in the bilingual classes, who sometimes work twice as much as their other classes' colleagues ! But let's not fall asleep over the first achievements : this program is wonderful, but still does not work flawlessly ! French with the 5 senses ! Part of the staff, including Fabienne Lallement (Chief of project of the bilingual classes worldwide), with Mr. 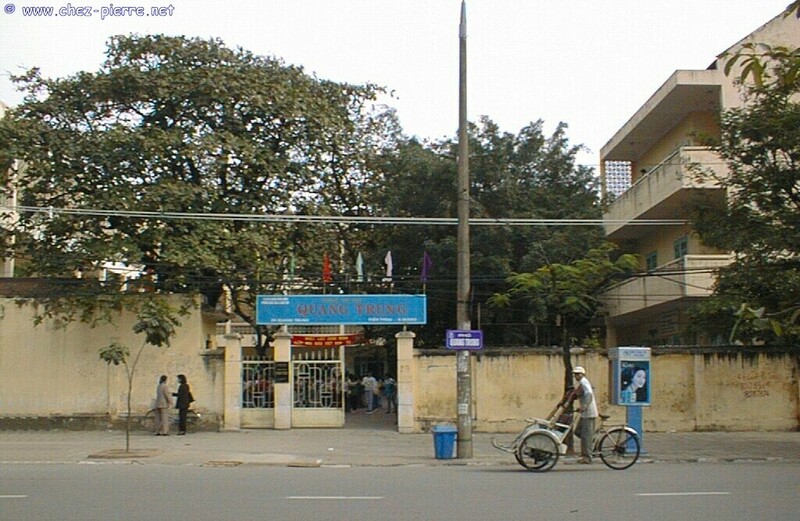 Le Vu Hung, Vice-Minister of Education. of the first 5 years of the program, at the Ministry of Education and Formation in Hanoi, 25th and 26th January 2000. 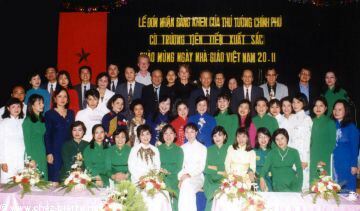 Besides officials from the Vietnamese Ministry, were present diplomatic representatives, representatives from the Laos and Cambodia Education Ministries, representatives from all Provincial Education Services, principals from the 110 Vietnamese schools with bilingual classes, and part of our APEFE-CEQ-AUF staff. About 250 guests in all ! 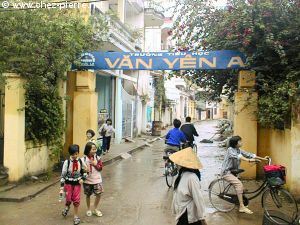 Noted problems and possible solutions were stated to continue improving this program in Vietnam, but also in the other countries.